It is the season of giving! And here’s one freeflow sake event not be missed. And I’ve a promo code ‘SETHLOVESSAKE‘ that gives you $5 off. 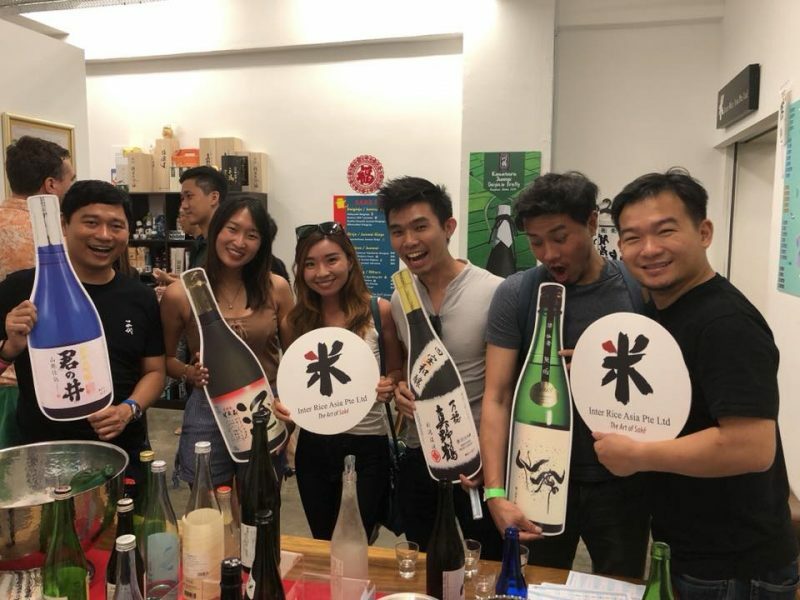 Besides having a crazy freeflow sake tasting session at Inter Rice Asia’s Christmas Warehouse sale, stock up your home cellar for drinking during the holidays which also makes great presents for all the Christmas parties coming up. There will also be a storewide discount of 15% for any purchases if you’re looking to gift a bottle or two. 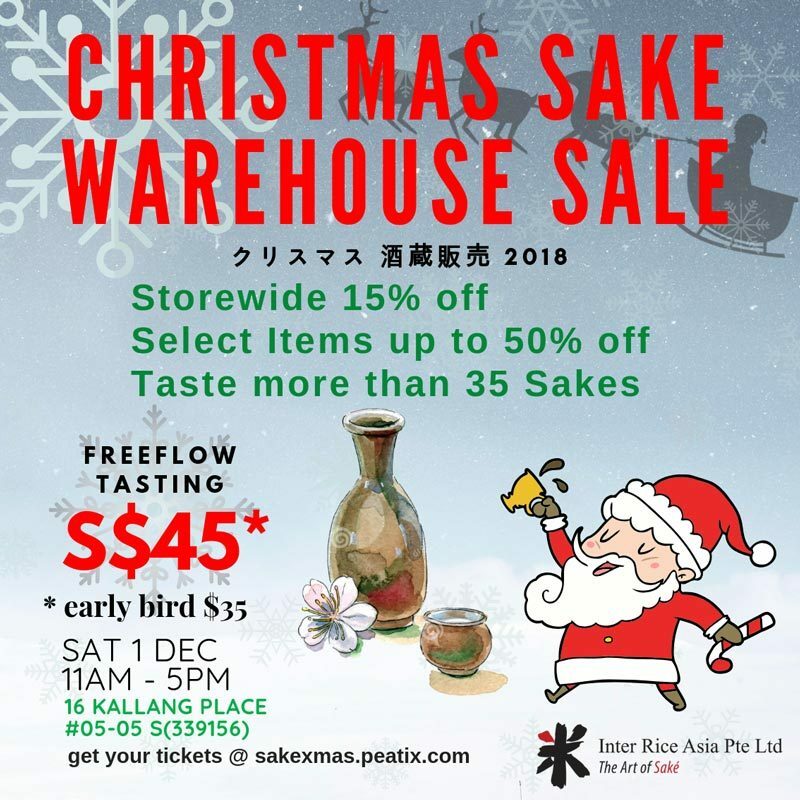 What happens during this warehouse sale is that there will be a rotation of sakes to be sampled every 10-15 minutes to ensure everyone gets a fair share of all the different sakes available. During that period, that particular bottle of sake will be freeflow for all. Enjoy the free-flow sake option at S$45 (just $40 with my promo code) with over 35 types of Sakes to choose from! I’ve personally been there and it has been quite a blast although physical space is quite limited with all the crowd. It is a warehouse sale anyway, which is literally held in a sake warehouse. Use my promo code ‘SETHLOVESSAKE‘ to get $5 off the freeflow tasting.